Dairy producers have many different criteria when it comes to choosing a corn variety. We often discuss whether the corn is going to be used only for corn silage or also as a dual purpose corn for either high moisture shell corn or dry corn. The Medford Cooperative began working with a local seed company, Wolf River Valley Seeds. From White Lake, WI, Wolf River Valley Seeds has a diverse product line tailored towards dairy producers in Wisconsin. They offer corn, soybeans, small grains, and forage seeds. Wolf River Valley Seeds offers most of their corn in conventional and Round Up Ready varieties and also have some proven silage corn varieties that have been producing high tonnage in the central Wisconsin area. 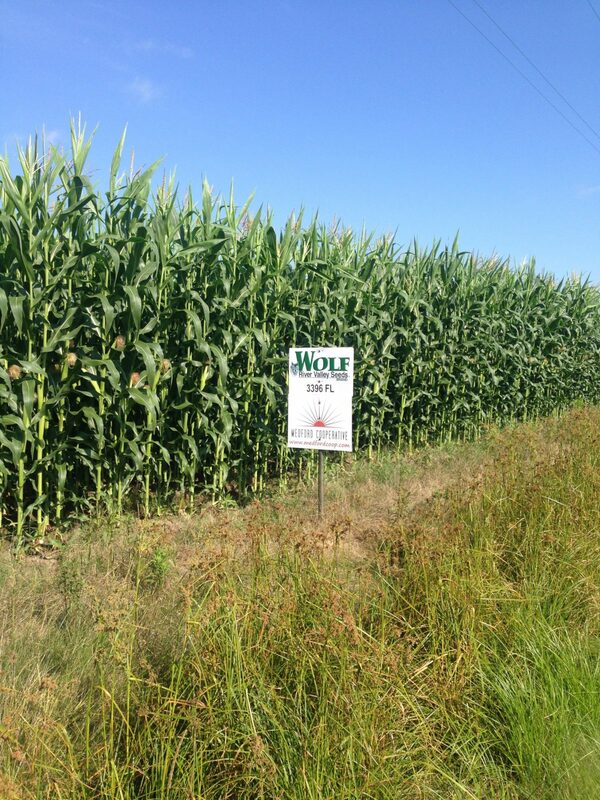 Shown in the picture, is an example of their 3396 Floury, Leafy variety that is a silage specific variety. The floury, leafy varieties have excellent tonnage and since the corn kernel is soft, the starch is very digestible even if farmers don’t have a corn silage processor on the chopper. This fall I will have forage sample results of the corn to see how it compares to corn varieties that have done well in our area in the past.